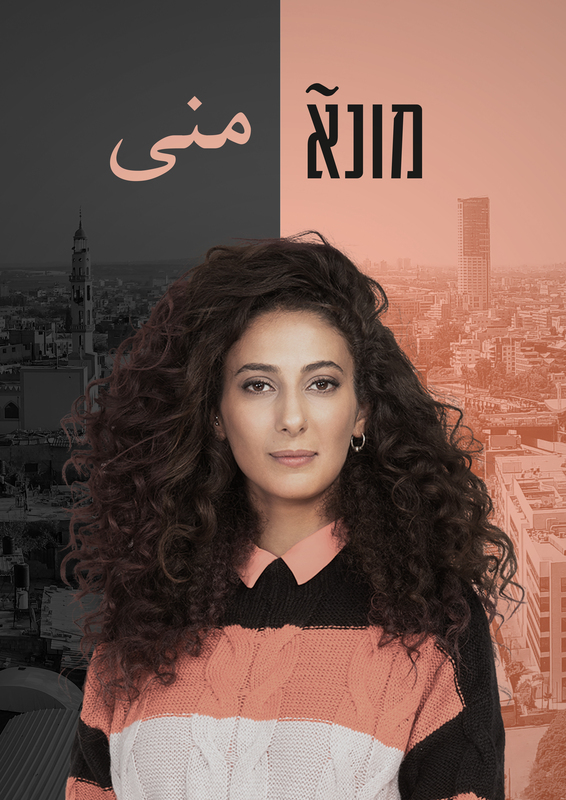 Israeli summer of 2014- Muna Abud, a successful female Israeli-Arab photographer who lives and works in Tel Aviv, is putting together an exhibition of her work portraying strong, groundbreaking Arab women. The exhibition will take place in Paris and be sponsored by the Israeli Ministry of Foreign Affairs. On one hand, her Arab critics argue that this exhibition is an attempt to cover-up for the discriminating Israeli establishment; on the other hand, her Jewish critics refuse to accept her as their representative and some of her exhibition’s heroines decide to pull out of the project. Muna is a strong woman; but simultaneously, her brand new and complicated romantic relationship with Yaniv, a Jewish news producer, is being put to the test ever so intensely against her family and the village she grew up in. The series was sold for remake to Showtime. Main Cast: Moshe Ivgy, Yehuda Levi, Shlomi Koriat, Uri Gabriel, Yussuf Abu-Warda, Hanna Azoulay Hasfari, Lirit Balaban, Maya Maron, Adi Gilat, Michael Rozhetsky, Shalom Michaelshwili, Ania Bukstein, Netta Garti and Zion Baruch. 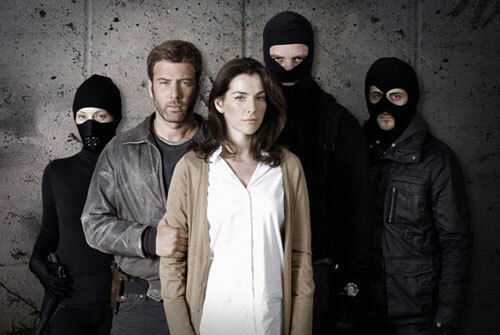 Main Cast: Aviv Alush, Moran Atias, Romi Aboulafia, Nadav Nates, Miki Leon, Sergey Bukhman, Julia Levy-Boeken and Guy Arieli. Cast: Ruthie Bornstein, Sofia Ostritsky, Samira Seria, Dana Samocha, Igal Adika, Vladimir Friedman, Marina Samocha, Liron Ben Shlush, Yaakov Borek. Cast: Dan Shapiro, Gala Kogan, Yona Elian, Dror Keren, Tal Talmon, Yon Tumarkin, Itay Turgeman, Liat Azar, Golan Azoulay, Doron Tavori. Main Cast: Assi Levy, Nelly Tagar, Israel Sasha Demidov, Danny Steg, Natasha Manor, Liron Baranes. Main Cast: Assi Dayan, Gila Almagor, Rami Heuberger, Alma Zack, Assi Levy, Tali Sharon, Moni Moshonov, Tali Rubin, Niv Zilberberg, Michal Bat-Adam, Yisrael Poliakov, Shira Geffen, Yossi Alfi and Shimrit Lustig. The series was sold for remake to several territories. Cast: Lior Ashcenazi, Genia Dodina, Yoram Hatav, Nati Ravitz, Hadas Kalderon, Alon Dahan, Daniela Certis,Yuval Sherf. The series was sold for remake to CBS who produced an American adaptation called the Ex-List that aired in 2008. Cast: Guri Alfi, Eli Finish, Dani Geva, Efrat Boimvald, Alma Zach, Efrat Cohen, Riki Blich, Noa Tishbi, Shmil Ben Ari. 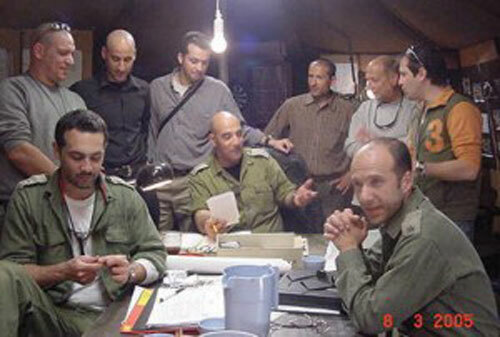 Cast: Yigal Naor , Nati Ravitz, Osnat Vishinski, Marina Choif, Yigal Adika,Dror Keren, Shlomi Koriatt, Maya Maron, Alon Neuman. Cast: Yigal Adika , Sharon Zukerman, Alon Aboutboul.